I’m very tempted to snag one at this price, even though I don’t really need it. Perhaps I’ll purchase one as a gift? For what it’s worth, Amazon.com has new units for $59.00 shipped. This entry was posted in News, Radios, Shortwave Radio and tagged Blinq, Grundig S450DLX, Grundig S450DLX Sale on October 23, 2014 by Thomas. 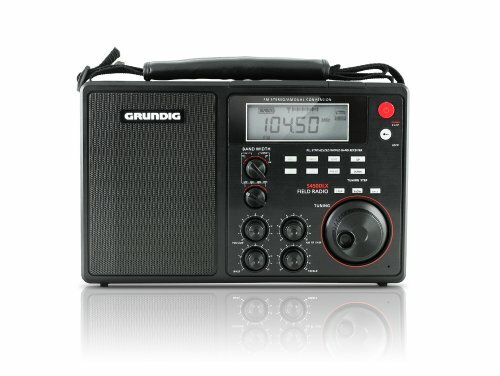 i found Grundig S450DLX Deluxe AM FM Shortwave Radio – Black (NGS450DLB) sold for 31.89 USD in this website. Its used one but the quality is good. http://www.misfitgamer.com/?page=shop/flypage&product_id=74114. From this same website I bought the Radio Shack AM FM Shortwave Radio 2000629 from this website for $22 shipped and i received them today and its very least used. It was still available when i saw it just posting this message. Went ahead and made the plunge. I already owned the S350 so wanted the upgrade. The 450 has some drawbacks and the build is, as noted, rather cheap. But the sound is great, sensitivity is pretty good. For $30 shipped well worth it and I’m happy. Dont’t. I find it one of the worst radios I’ve ever used. It overloads all the time.